Histological definition: invasive carcinoma composed of cells resembling those of squamous epithelium. Cytological patterns: smears are characterized by the presence of severely dyskaryotic squamous cells associated with diathesis (inflammatory cells, altered blood and necrotic cell debris). 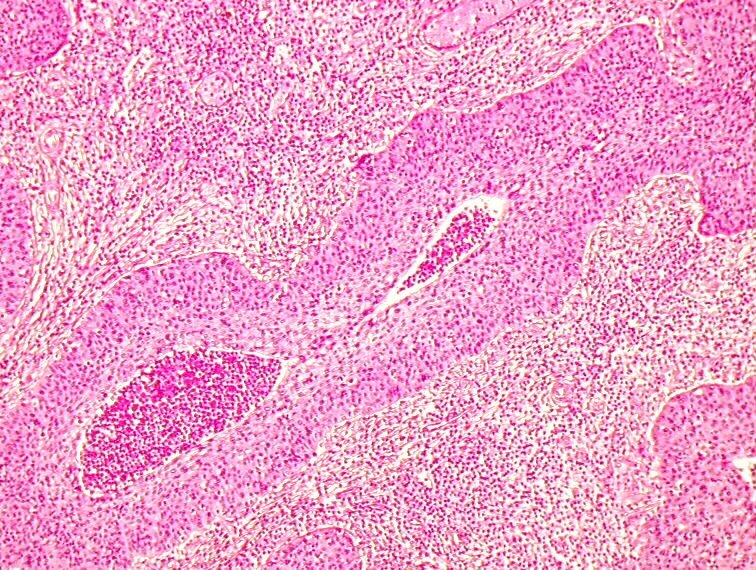 Presence of fragments or microbiopsies. Dyskaryotic cells may be either small (and difficult to identify) or large with cytoplasmic keratinization and bizarre cell shapes. More marked chromatin abnormalities than in SIL. Nucleoli may be present.